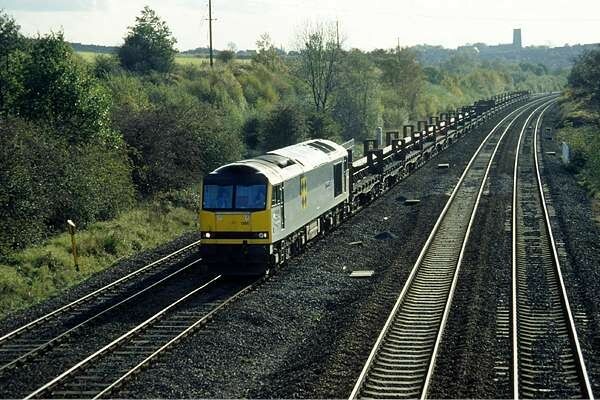 © Geoff’s Rail Diaries 2011 Here are some photos from a couple of trips to the east midlands, both of which ended with an hour or so on the bridge at Shirebrook. The first started with a couple of industrial visits - to the mines at Moor Green and Pye Hill. Both succumbed shortly after the miners' strike. 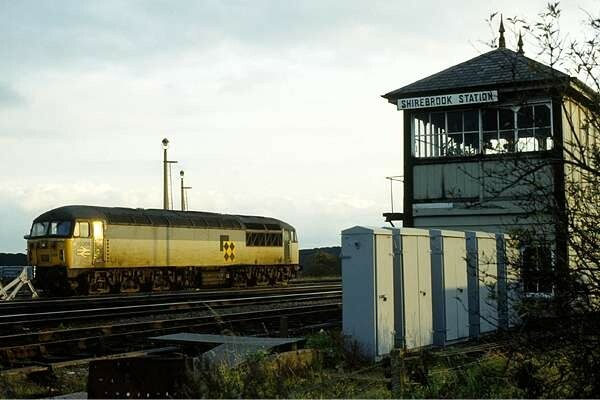 Moor Green was at that time home to several locomotives, three ex-BR 350hp shunters - class 10 (the Blackstone-engined variant) - and three products of Shrewsbury - a couple of Sentinels and a Rolls Royce. 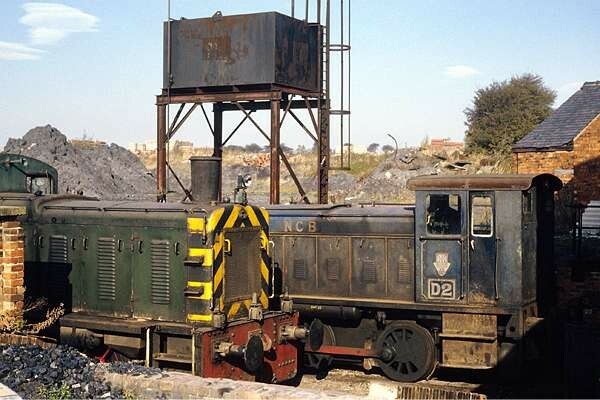 Two of the latter were 0- 8-0DH locos - we had hoped these might be in use. So, of course, all we saw were the class 10s - "Robin", ex-D3618, in a rather fine red livery, and ""David", ex-D3613, in green. 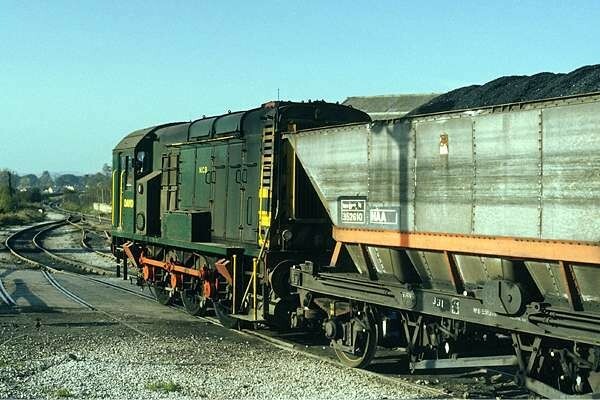 We moved on to Pye Hill colliery, which promised ex-BR "03"s and a couple of other locomotives - a Ruston and a Thomas Hill rebuild of a former Sentinel steam locomotive. 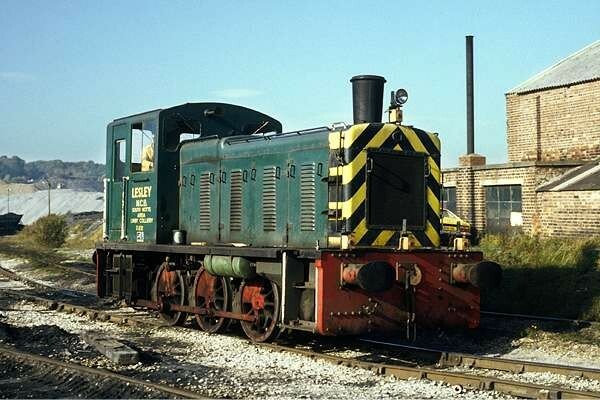 Once again, it was the ex-BR locomotives which appeared to be in use - D2132 "Lesley" appeared from the exchange sidings, while D2138 sat outside the shed. The Ruston - 395293 of 1956, cutely named "I'll Try", looked a little tired, while Jayne, TH/S 137C of 1964, sat inside the shed. 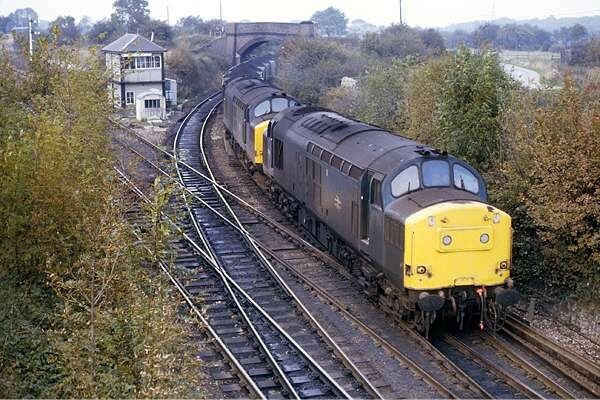 On leaving Pye Hill, we headed for Shirebrook, there taking position on the overbridge between the depot and the junction. In the hour or so we were there, we managed to photograph a number of movements. 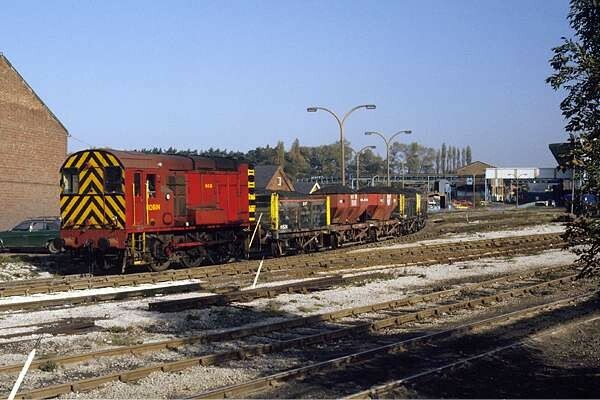 A pair of class 20s left the depot and took the branch towards Clipstone Junction. 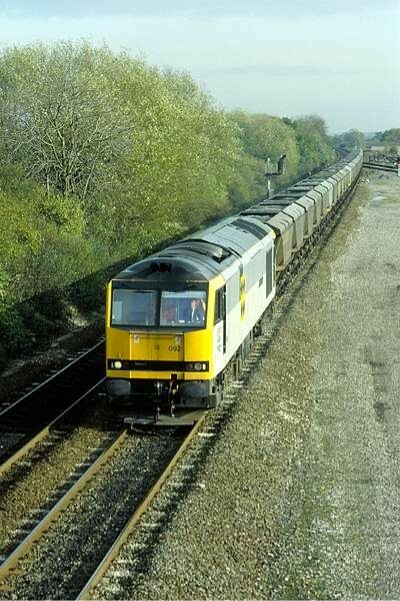 A class 56 is took the line towards Worksop with a loaded train. 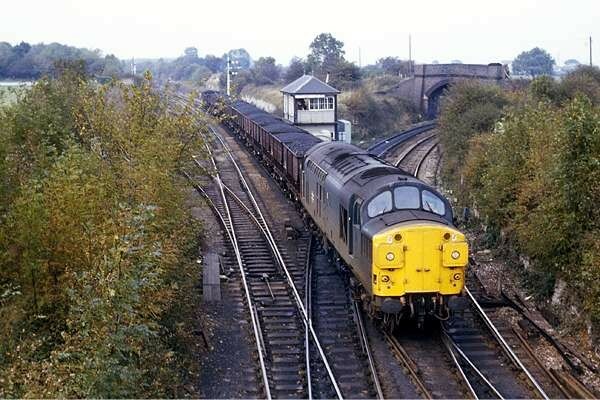 The the 37s, coming from the north - firstly, off the Clipstone branch, then from the Worksop line Nine years later I found myself on the same bridge. 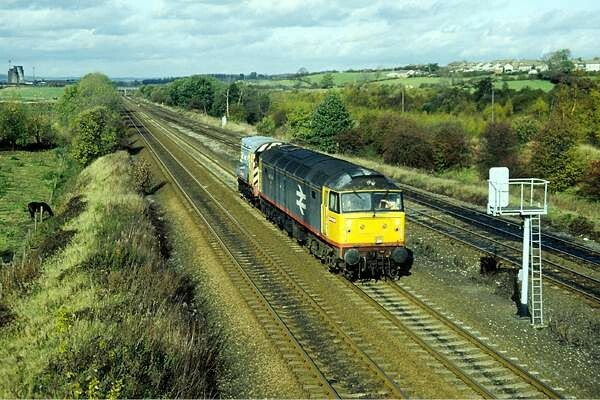 We had started out near Willington power station. 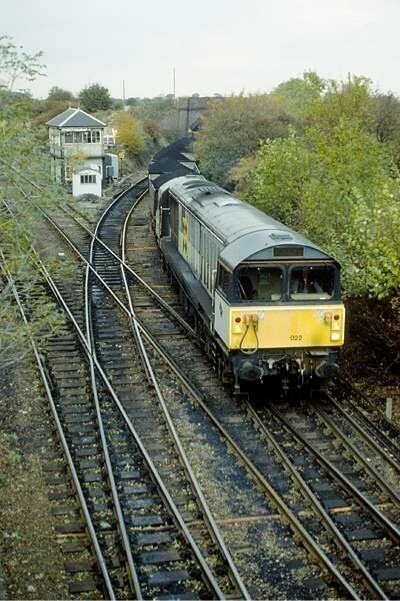 An overbridge carrying a minor road lies between North Stafford Junction and Stenson Junction, on the main Birmingham - Derby line, and is thus a busy spot. 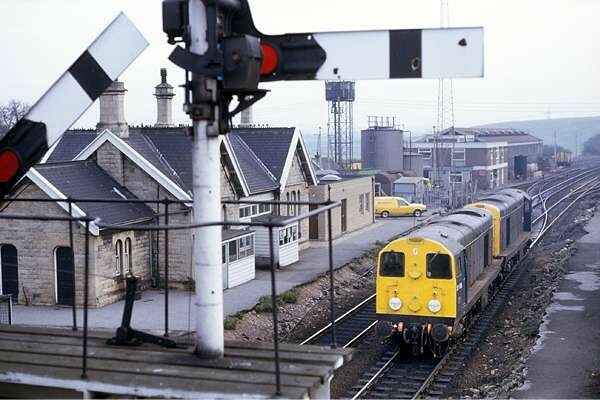 On this occasion, amongst numerous passenger trains (HSTs and Sprinters) were the illustrated freights. 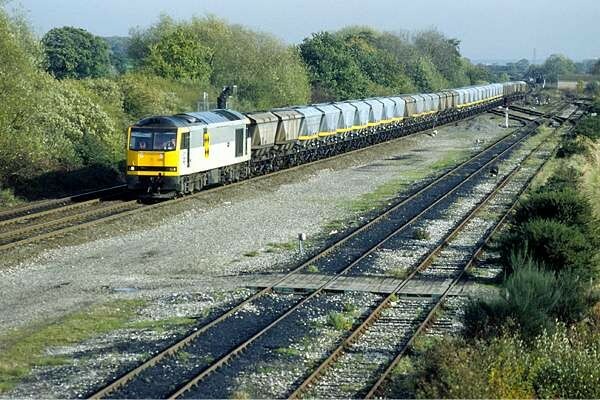 60 092 is heading south with coal empties, and 60 089 is doing the same. 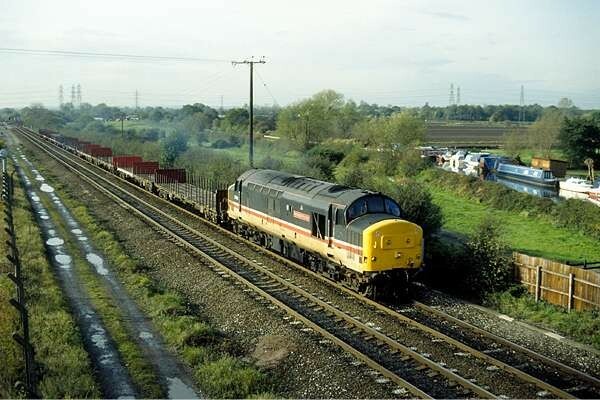 37 420 is heading north with what look like timber wagons Leaving Willington, we headed north to spend a little while near Clay Cross, a little to the north of Clay Cross South Junction, where the lines from Derby and Toton join. This is usually pretty busy, but today there didn't seem to be too much of interest. 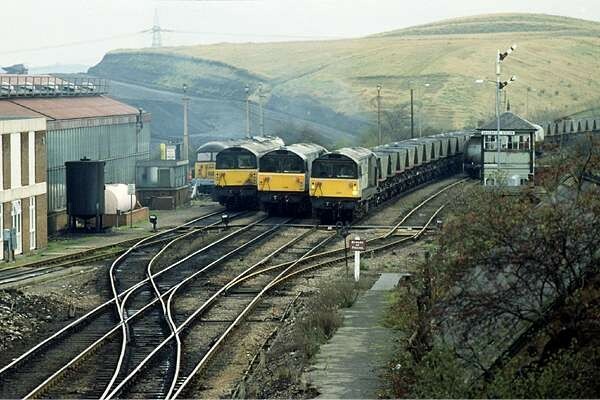 Illustrated are a northbound steel empties train, in the company of 60 086, and southbound, a class 47 hauling an 08! Next destination was Worksop, for a quick look around. A couple of local passenger trains (153s) scuttled through, then 58 016 trundled slowly through eastbound on a coal train. Finally, we headed south to Shirebrook. Here, the 20s and 37s were no longer in evidence - all traffic now seemed to be in the hands of 58s and 56s. 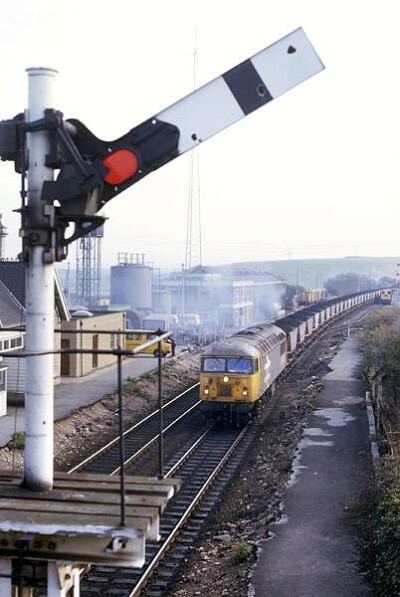 The photographs depict 58 022 coming off the Clipstone line, and an unusual positioning of three 58s (23, 46 and 34) beside the signalbox. Lastly, as the October light fades, 56006 is seen resting at the depot. And that's it - two more good days out. 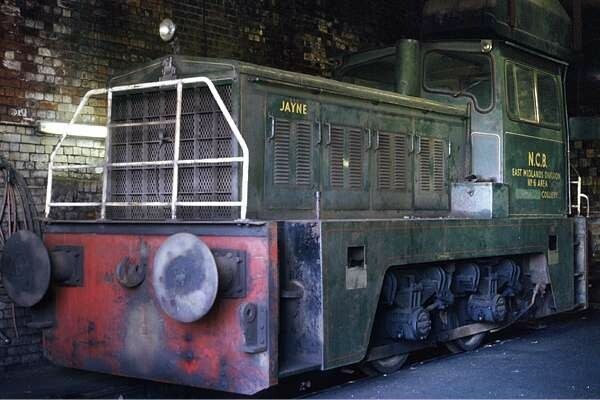 A sobering thought - with the exception of the 60s, most of the locomotives above have gone (or will do soon). 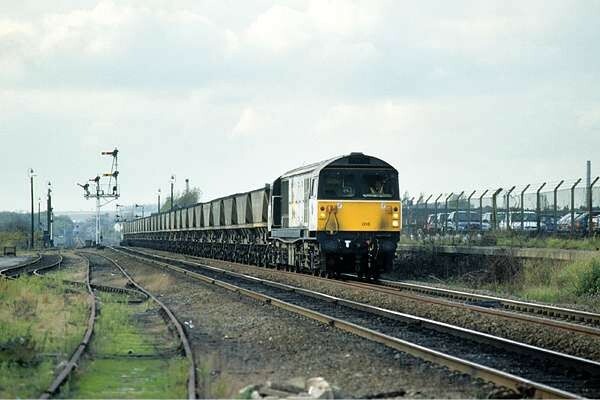 In the meantime, the formerly freight- only route through Shirebrook now sees passenger trains again, in the shape of the Nottingham - Mansfield - Worksop service. What will the next visit to Shirebrook reveal?